When the weather is warm, it’s understandable that women prefer not to wear pants in an effort to keep cool. At the same time, you need to ensure that you look professional at work. Novel Tees has the answer in our range of promotional corporate skirts in Melbourne, Sydney, Brisbane, Perth and beyond. With varying lengths and styles available, you’ll always look your best. No matter what style you find most comfortable, we’re sure to have customised work skirts to match. Our range includes everything, from the traditional a-line or pleated skirt to the slimming pencil skirt. Our corporate branded skirts are made from the highest quality fabrics on the market, including: polyester, viscose, elastane and wool blend. Many of our fabrics are stain resistant for your convenience. 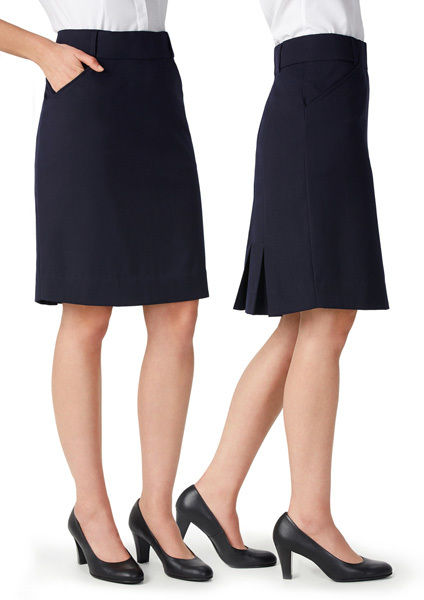 Although our promotional women’s skirts are listed as either knee or mid length, they are designed in such a way that they can be altered. Shorten as desired or choose promotional skirts in Melbourne with a generous hem allowance to increase the length.